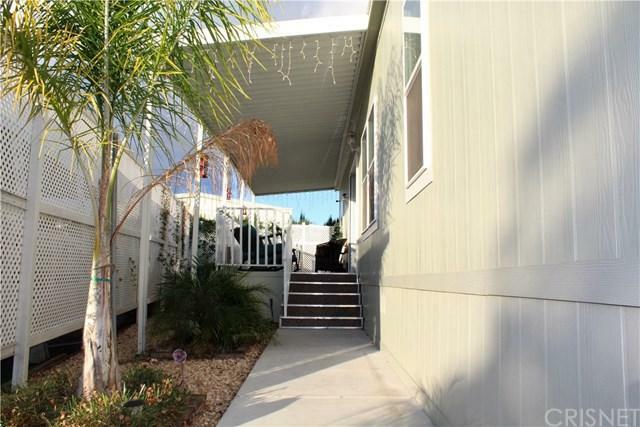 Dream home located in a highly desirable Family Mobile Home Park of Simi Valley. Property has 4 spacious bedrooms and 2 baths; one of which is an ensuite. 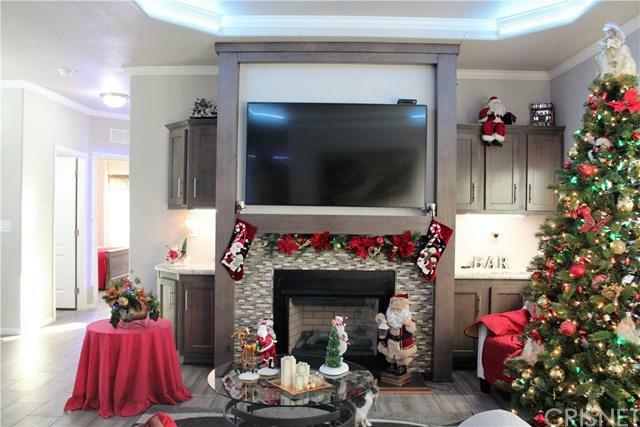 Property was constructed in 2016 and features: gallery kitchen, recessed lighting, Laminate flooring, double pane windows, new central conditioning and heating unit, security camera system, long carport that fits up to 4 cars and storage shed. This open concept provides a spacious living area that has an abundance of natural light from every angle with a cozy fireplace and leads you into the gallery kitchen. Kitchen has granite counter tops, back-splash, lots of cabinets for all your storage needs, stainless steel appliances and large island. Adjacent you will find your dining area. Ensuite has all its own private bath with a Tub and Shower, his and her sinks, built in cabinets and not to forget the extra-large walk in closet. 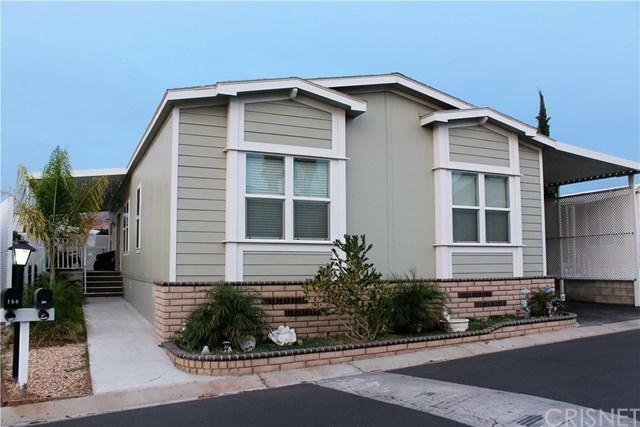 Three additional bedrooms in the hallway all with walk in closets share a full bath. 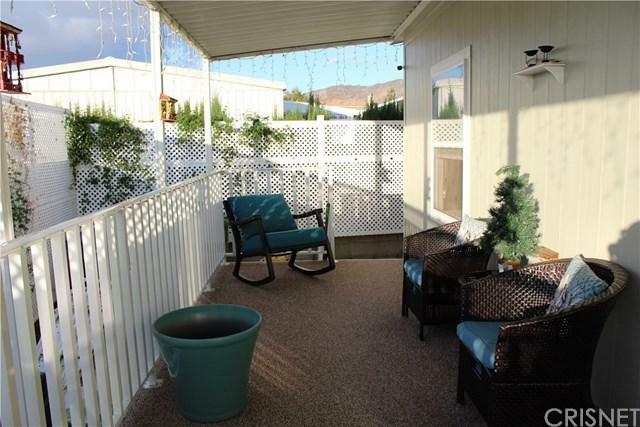 Property is centrally located close to shopping centers, restaurants, banks and much more.